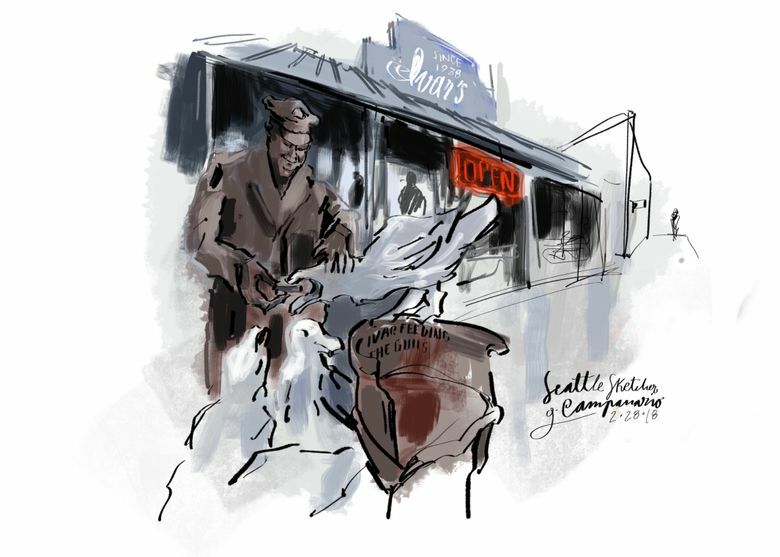 The statue of Ivar Haglund feeding seagulls at the base of Madison Street is a point of reference along Seattle’s evolving waterfront. Are you like me, counting the days for the Alaskan Way Viaduct to come down? This sketch might be the start of a series of drawings I’ve wanted to do walking Madison Street. Did you know it’s the only Seattle street that directly connects Elliott Bay with Lake Washington?